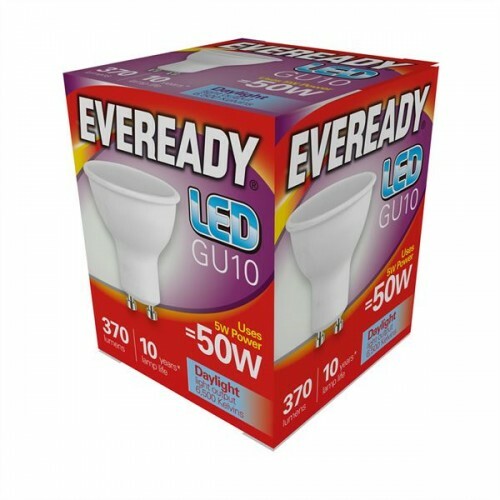 These high power 5W (50 watt equivalent - 370 lumens of light - the higher the lumens the brighter the spotlight) Eveready LED SMD GU10 low energy saving light bulbs / lamps have a protective glass lens cover so they can be used in the kitchen, bathroom or anywhere in the home or office. 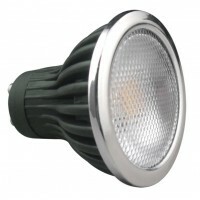 These LED GU10 spotlights produce a daylight white (6500K) light (Daylight White is a pure white light). 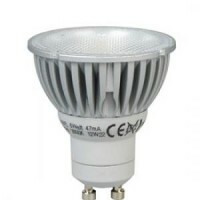 The Eveready range of lamps are high quality and long lasting low energy saving retrofit LED lamps. 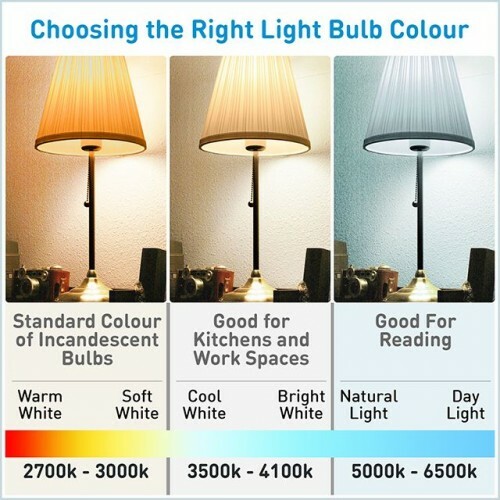 Reliable and easy to install Eveready LED lamps surpass the high quality standards that home owners and lighting professionals demand for lower cost applications. 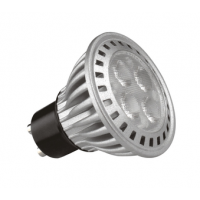 The GU10 SMD lamps offer huge energy savings over halogen lamps without compromising on brightness. 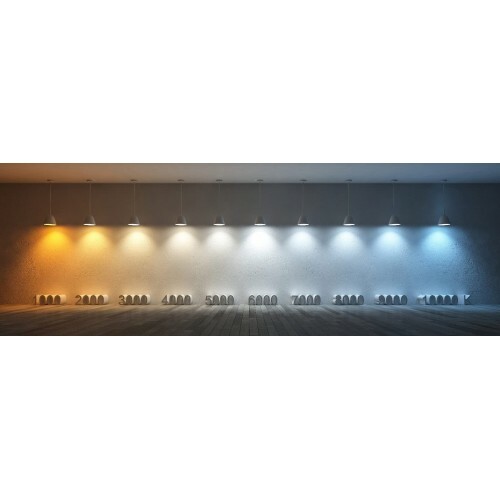 The lamps can quickly replace halogen products in accent and general lighting applications, and once in place rapid payback is achieved. 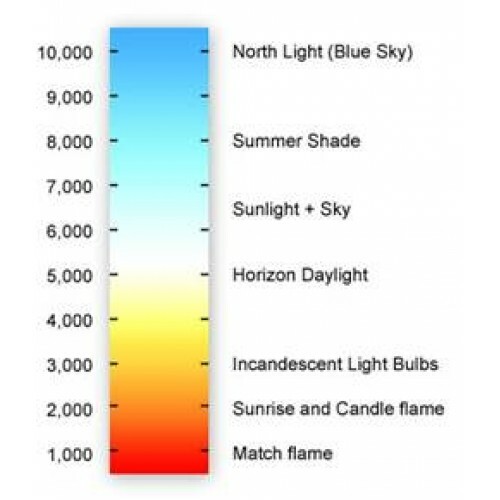 Save energy up to 85% compared with halogen lamp. NB: These 5W Eveready LED GU10 spot light bulbs are not suitable for dimming, so can not be used with a dimmer switch or touch sensor as this will cause them to fail. 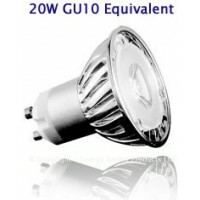 4W (35W) LED GU10 Spotlight in Warm White These high power 4W (35 watt equivalent - 180 lumens o.. 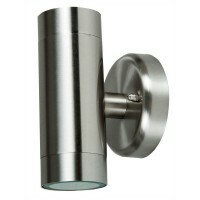 Brushed Stainless Steel Twin / Dual Illumination Wall Light Brushed Stainless Steel twin / dual ..
Dimmable 6W (50W Equiv) LED GU10 Spotlight by Megaman in Cool White This is a dimmable 6W LED GU..
Dimmable 6W (50W Equiv) LED GU10 Spotlight by Megaman in Daylight White This is a dimmable 6W LE..
Dimmable 6W (50W Equiv) LED GU10 Spotlight in Cool White This is a dimmable 6W LED GU10 spotligh..
3W (20W Equiv) LED GU10 Spotlight in Cool White These 3W Cool White high power LED GU10 low ener..
5W (50W Halogen Equiv) 45 degree LED GU10 Spotlight in Daylight White This is a 5W 80 degree LED.. 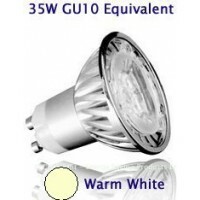 Wide Angle 5W (35W Equiv) LED GU10 Spotlight in Warm White This is a 5W 110 degree LED GU10 spot.. 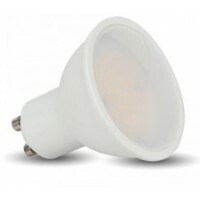 Wide Angle 5W (35W Equiv) LED GU10 Spotlight in Daylight White Light This is a 5W 110 degree LED..